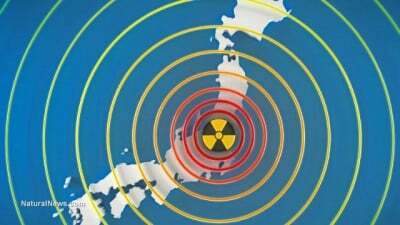 At least 2 trillion becquerels’ worth of radioactive material flowed from the crippled Fukushima Daiichi nuclear power plant into the Pacific Ocean between August 2013 and May 2014, plant operator Tokyo Electric Power Company (TEPCO) has admitted. The rate of release was 10 times higher than TEPCO’s pre-meltdown threshold for radioactive material. A becquerel is a unit for measuring radioactive material that corresponds to one unit of radioactive decay per second. It is a way of describing how much radiation is being emitted by radioactive material, in contrast to measuring the mass or volume of the material itself, the energy carried by the radiation or the biological impact of exposure. In March 2011, the Fukushima plant suffered multiple meltdowns triggered by a massive earthquake and tsunami. Since then, TEPCO has struggled to contain the flow of radioactive water away from the plant. Currently, radioactive water is known to be leaking out of reactor buildings and downstream into the ocean. It is also suspected to be leaking into the ground from the plant, and flowing underground to the ocean from there. TEPCO estimates that this water has been carrying 4.8 billion becquerels of strontium-90 and 2 billion becquerels of cesium-137 every day, based on measurements taken near the water intakes for reactors 1 through 4. This means that in the 10 months from August to May, the plant emitted 1.46 trillion becquerels’ worth of strontium-90 and 610 billion becquerels of cesium-137, totaling 2.07 trillion becquerels of radioactivity released into the ocean. This astonishing amount of radioactivity is actually an improvement over the first two years following the disaster. Between May 2011 and August 2013, 10 trillion becquerels of strontium-90 and 20 trillion becquerels of cesium-137 flowed into the bay, for a total of 30 trillion becquerels. The improvement does not mark an improvement in TEPCO’s containment methods, however, but is a result of the concentration of nuclear material at the plant decreasing over time. Water flowing away from the plant enters the bay, where it can then spread into the open ocean. This bay contains a port that is used by the plant to transport materials and equipment. So much radioactive material has accumulated along the mud of the sea floor at this port that TEPCO is now pursuing a plan to coat the sea floor with cement, to prevent the material from migrating deeper into the ocean. This may make it impossible to ever dredge the port and remove the radioactive material. TEPCO has already coated several other sections of sea floor, near the outlets of tunnels used to release the radioactive water used to cool the plant immediately following the meltdown. Work has already begun on a project to coat 50,000 square meters of sea floor near the quay with a cement mixture. The remaining 130,000 square meters will also be coated in several smaller segments. Every part will then be re-coated, to ensure durability of the barrier. Meanwhile, radioactive water continues to accumulate on-site, with both rainwater and groundwater continually seeping into the failed reactors and becoming contaminated. TEPCO has been attempting to pump this water out and store it in tanks all over the site, but numerous leaks have caused so much water to spill out that Kyoto University professor Hiroaki Koide has described the plant as a radioactive swamp. TEPCO has also attempted to dispose of some of the water by directly discharging it into the Pacific Ocean, violating its own standards for safe radiation exposure levels.